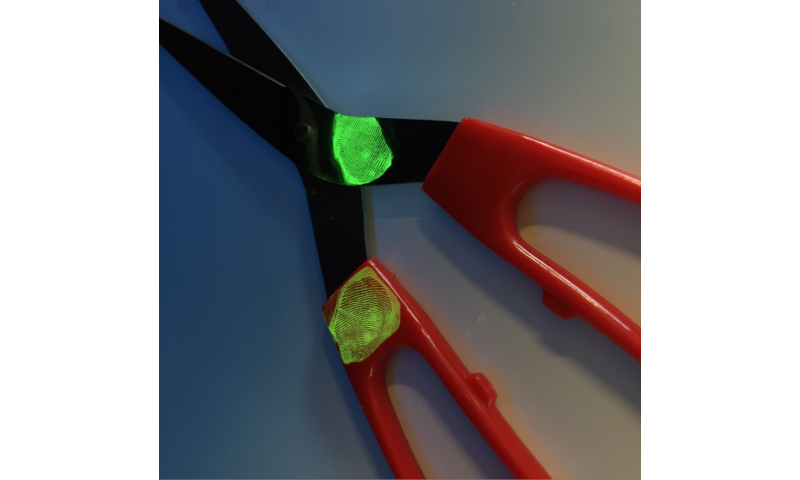 By adding a drop of liquid containing crystals to surfaces, investigators using a UV light are able to see invisible fingerprints "glow" in about 30 seconds. The research was published in the Advanced Materials journal today. CSIRO materials scientist Dr Kang Liang believes that this technique could be used for more challenging evidence where conventional 'dusting' is not appropriate. "While police and forensics experts use a range of different techniques, sometimes in complex cases evidence needs to be sent off to a lab where heat and vacuum treatment is applied," Dr Liang said. "Our method reduces these steps, and because it's done on the spot, a digital device could be used at the scene to capture images of the glowing prints to run through the database in real time." 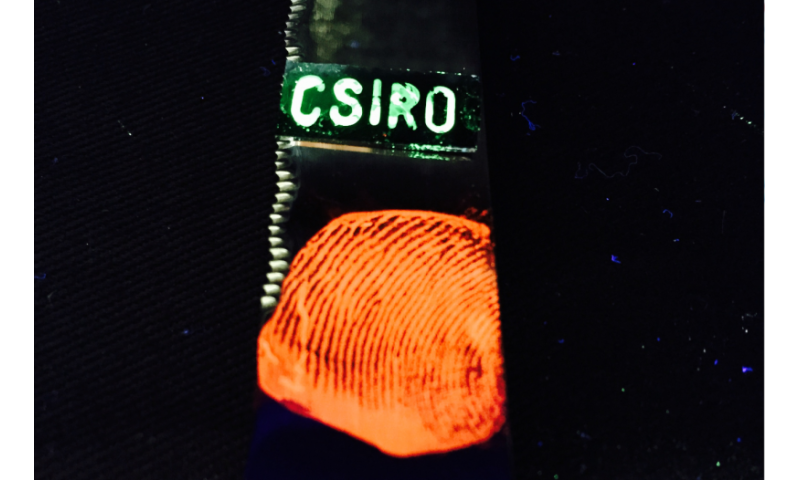 CSIRO's study shows that tiny crystals rapidly bind to fingerprint residue, including proteins, peptides, fatty acids and salts, creating an ultrathin coating that's an exact replica of the pattern. "Because it works at a molecular level it's very precise and lowers the risk of damaging the print," Dr Liang said. Different colours can be achieved by altering the chemistry of the solution. This photo shows the method on the blades of two knives. 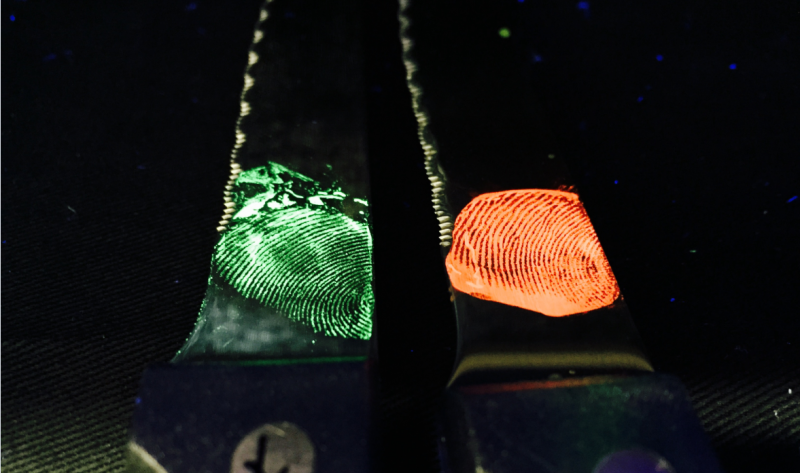 Fingerprint identification has been used as a key method by law enforcement and forensic experts for over 100 years. Adding CSIRO's method to the mix could save valuable time, costs and enhance investigations. "When my house was broken into I saw how common practice fingerprinting is for police," Dr Liang said. "Knowing that dusting has been around for a long time, I was inspired to see how new innovative materials could be applied to create even better results. "As far as we know, it's the first time that these extremely porous metal organic framework (MOF) crystals have been researched for forensics." CSIRO is now looking to partner with law enforcement agencies to apply the technique.